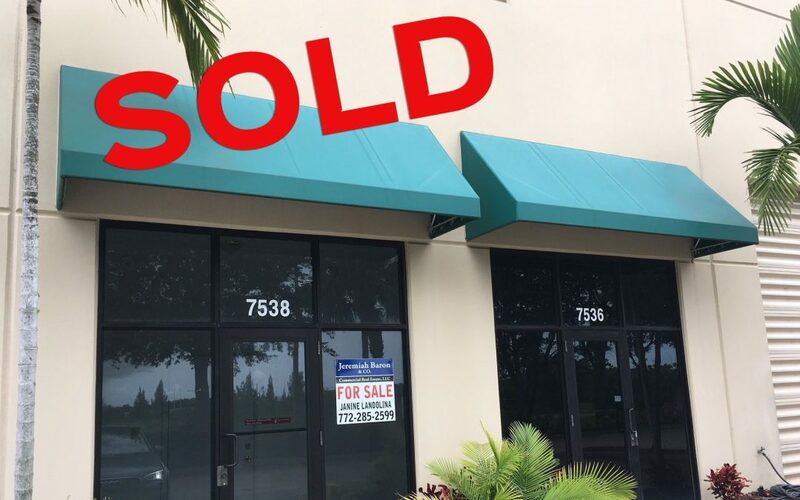 Two continuous units in the Treasure Coast Commerce Center located in Stuart have been sold for a total of $462,000. The flex/warehouse spaces feature overheard doors, air-conditioned throughout, and private restrooms with a shower. Neighboring tenants in the property include: EMS Auto, Stuart Fitness Box, plus a few other wholesalers and manufacturing businesses. Immediate plans for the units have not yet been disclosed. The seller was represented by Janine Landolina and Chris Belland, Sales and Leasing Associates with Jeremiah Baron & Co. Commercial Real Estate, LLC.